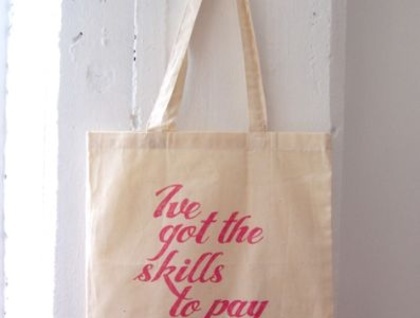 Long handled, 100% cotton tote bag featuring my new 'I've got the skills to pay the bills' design. Taken from a great beastie boys track. 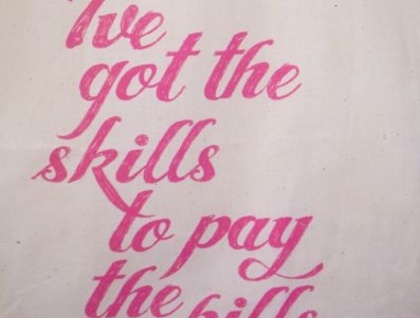 Printed in 1 colour pink. Measures approx 15 x 16"
Please allow up to one week for delivery. I aim to ship all orders on the next working day. 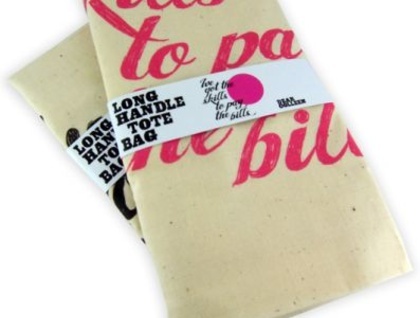 The purchase of this tea towel does not transfer reproduction rights. © dear colleen 2010.